Well, this is the final day of my Tokyo adventure in this food chronicle, but I finish it with the most unique dining experience I’ve ever been a part of. 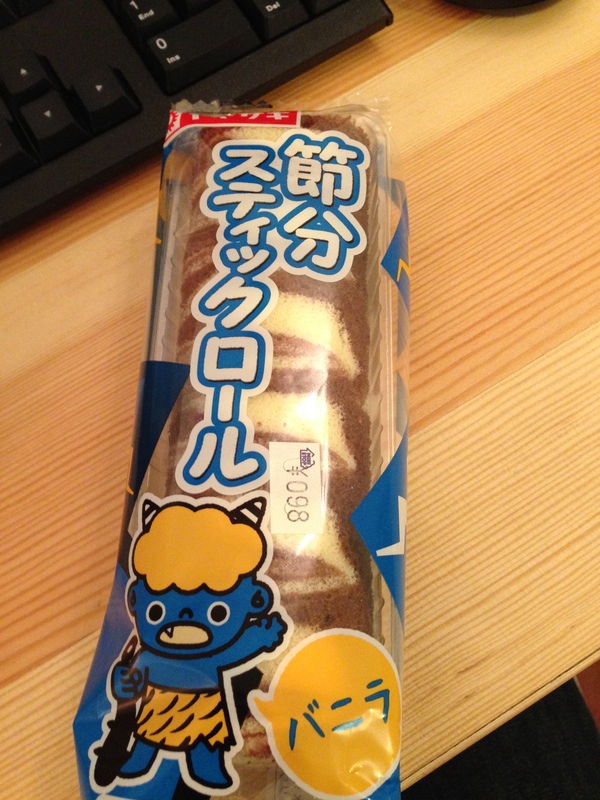 However, I should start at the beginning in the morning with my humble breakfast at the convienence store. I seemed to have made friends at the local Mini Stop since they guided me to my favorite snack cake section they were actively stocking when I walked in the door. So I wanted to get something a bit different to eat, so I plumped for a roll cake with a caveman on it along with an innocent looking bun. 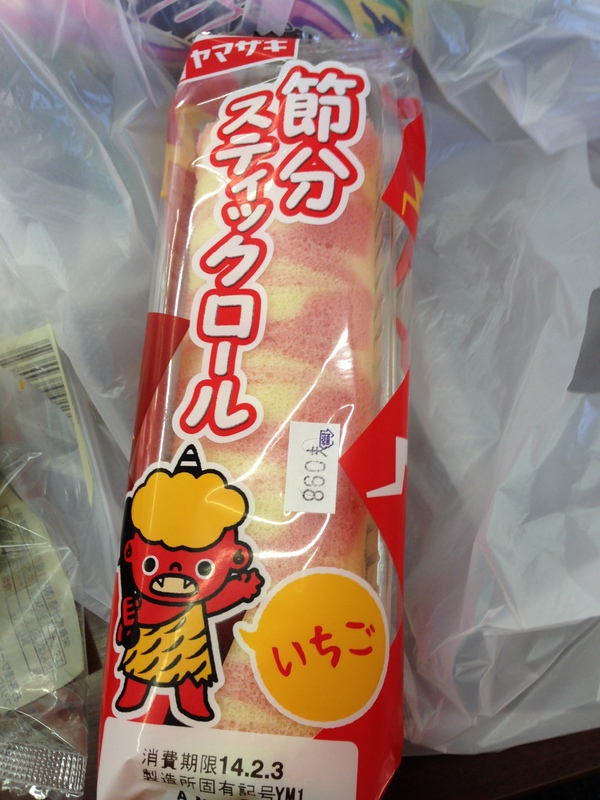 However, turns out the more innocuous looking sweet bun ended up being filled with savory, cold curry. Another wonderful adventure down Japanese Illiteracy Avenue! It wasn’t terrible though as I finished it. Thankfully, the caveman treat was a strawberry cream cake that was light, fluffy, and filling but probably terrible for my sugar levels. It tasted great though. 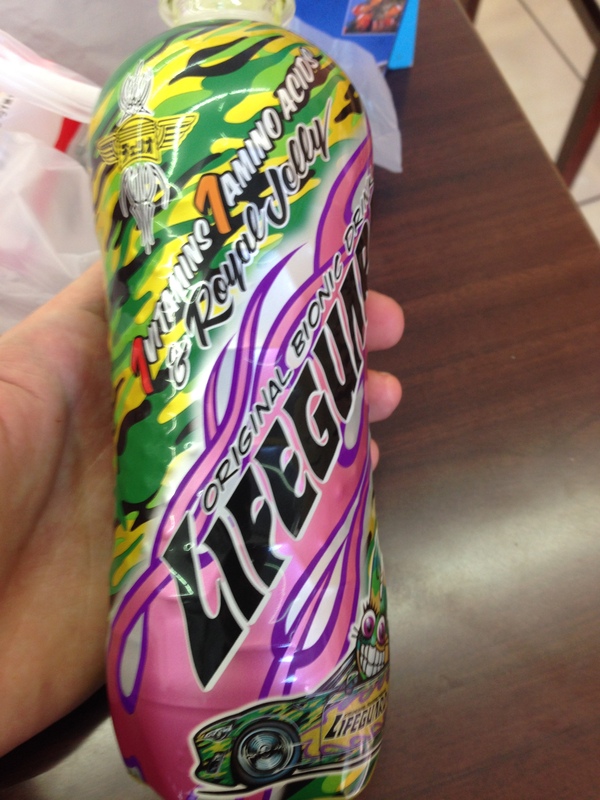 To drink, I got a bottle of a drink called Lifeguard that looked like it was conceived by beverage promoters on a bad acid trip. Not only did the psychedelic pattern and maniacal looking bunny in a car catch my eye, but it also boasted having plenty of “Royal Jelly”. I don’t think I’m ready for this jelly. I remembered it being related to a Futurama episode where Fry, Leela, and Bender go to a killer space-bee hive to get honey, and Leela takes a baby queen bee and royal jelly back home to make more honey. In reality, the royal jelly actually comes from the secretions of worker bees’ heads to nourish larvae and adult queens. Nothing like some bee head jelly to get me buzzing in the morning. It tasted great since it was like a green apple soda with small, rubbery chunks in it that left me energized to take on the rest of the day. I hopped on the subway to the periphery of Tokyo to see many different sights which in turn left me with a Godzilla-sized hunger to take care of. I made my way to Shinjuku because that is where I was going to have dinner at the famous Robot Restaurant that I’ll detail later in the post. 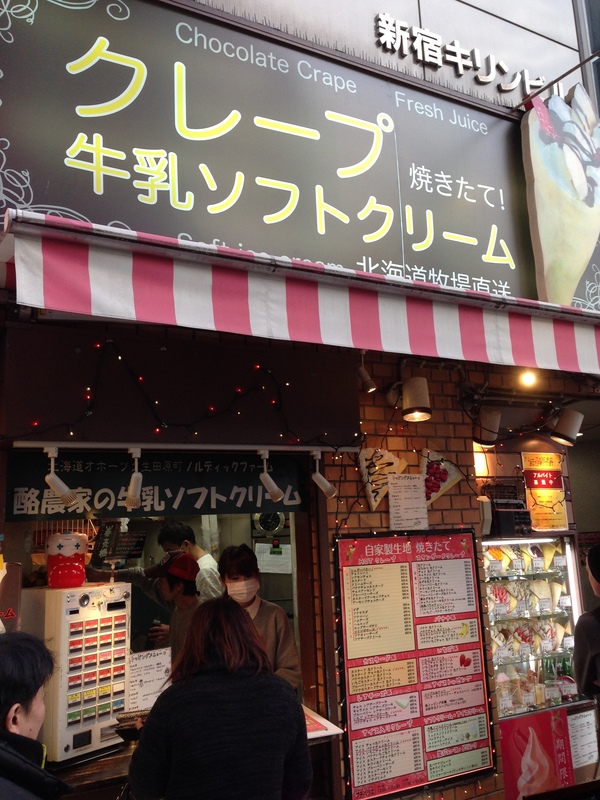 However, it was still around lunchtime, so I waltzed into a small, local eatery on a happening street in the center of Shinjuku. 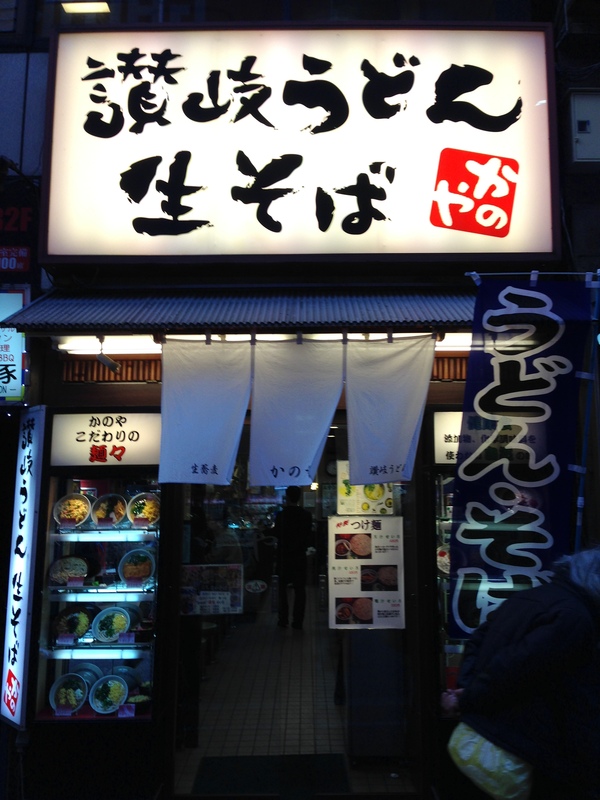 I noticed they had lots of different types of the traditional Tokyo soba noodles. I saw they had a similar coin operated device like in Matsuya, and I matched up the symbols from the plastic display outside to the button on the dispenser. 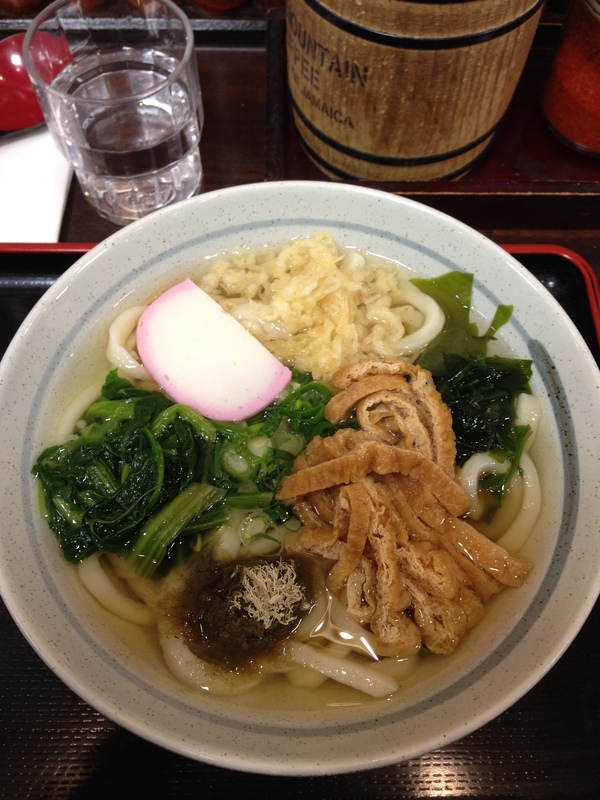 After doing some research it seems I chose Tanuki soba or “Raccoon Dog Soba” when it came out to me. I don’t know why it’s called after a mythical creature that is known for having mystical powers including using leaves to shape shift, fly, and have enormous testicles that bring good luck. Ghostly sexual organs aside, the soba itself was wonderful and cheap. The noodles were plentiful and a bit more al dente compared to the ramen noodles from dinner the previous night in Harajuku. The fried tofu pieces were savory that complimented the salty broth perfectly. 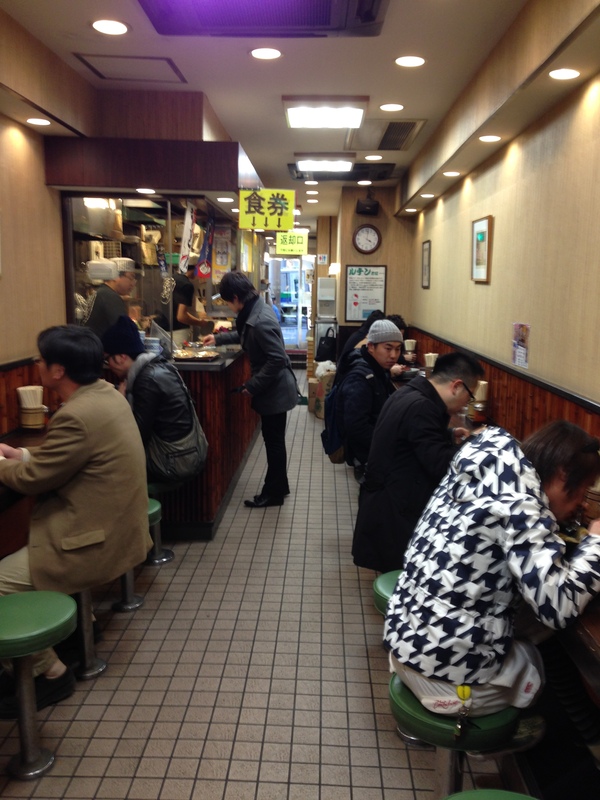 Overall, it was a small piece of Tokyo history that was delicious, nutritious, and affordable. 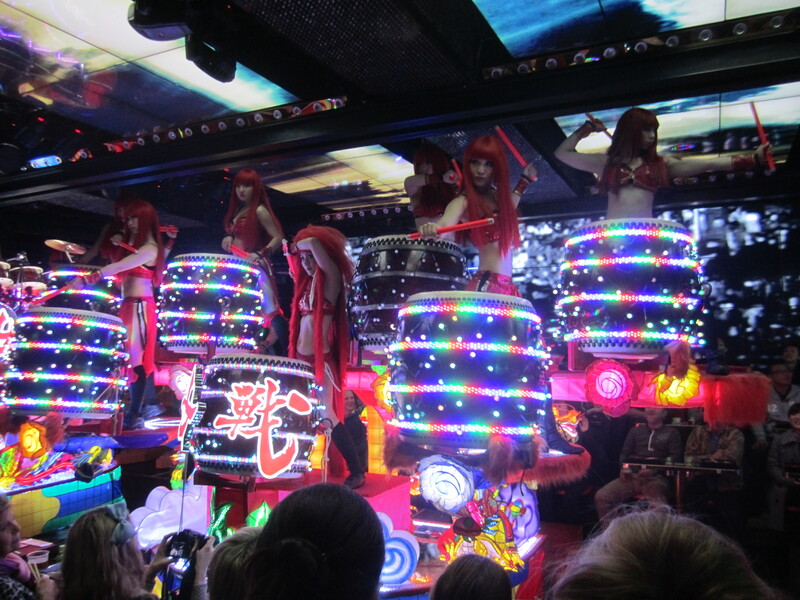 After that meal, I wasted a bunch of time before going to the oddly named Robot Restaurant. 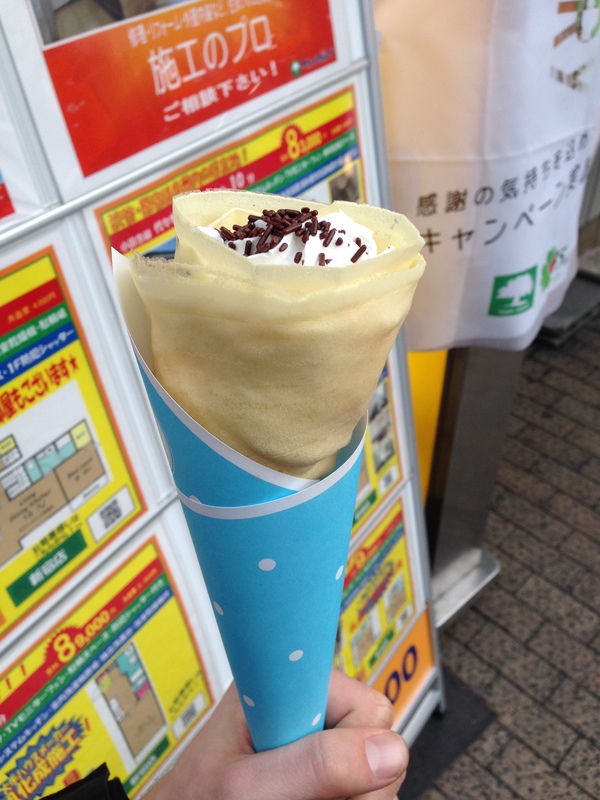 So I got a crepe that Wikitravel recommended to get either in Harajuku or Shinjuku, so I decided to see how they measured up to the French ones. 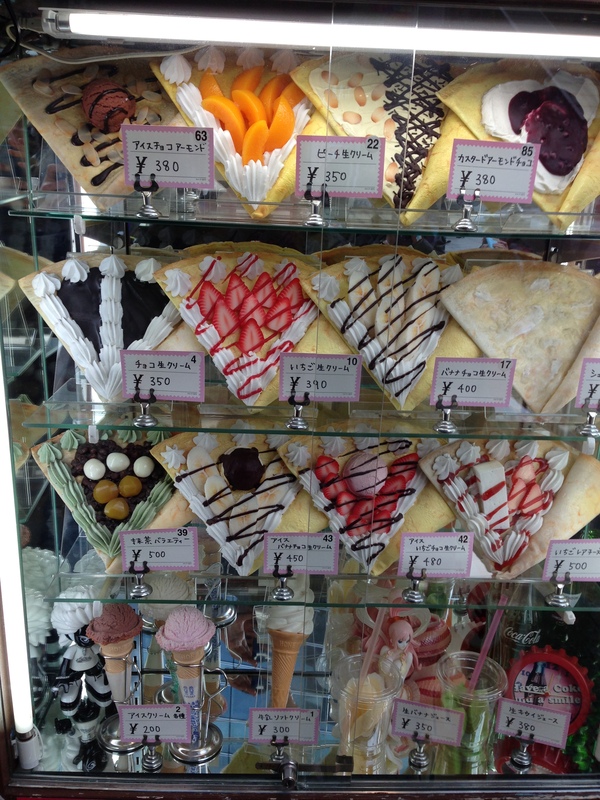 It was another encounter with my friend the coin-operated ordering machine, so I matched up the symbols to the Nutella and whipped cream crepe (second row from the top on the left). I didn’t understand why they couldn’t just take my order or just write it on a piece of paper. Work flow aside, the crepe was scrumptious and elegant. The gossamer thin sheet of dough encased a winter wonderland of snowy white whipped cream strewn about a generous slathering of chocotastic Nutella. It was the perfect compliment to watching the anti-Shinzo Abe/Olympics march going down the street. 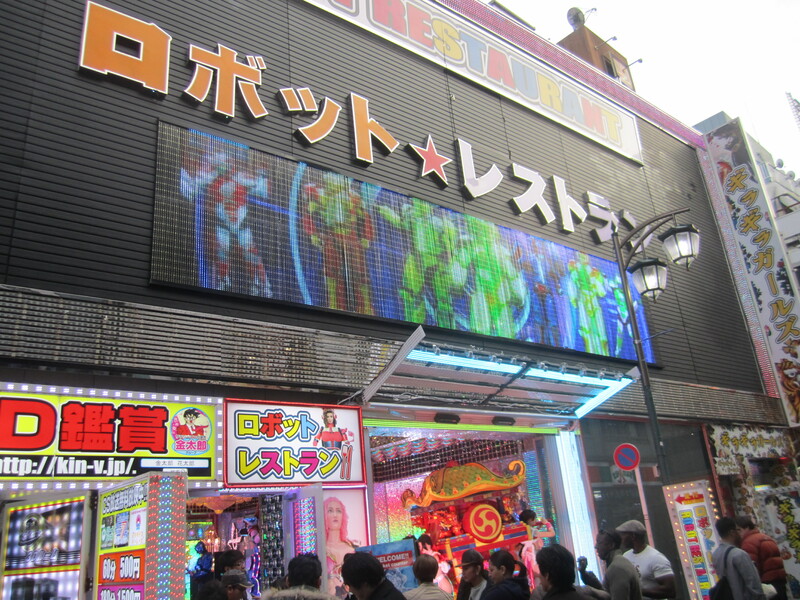 Eventually, I made my way to the Robot Restaurant which is located in Harajuku in the infamous Kabuchiko red light district. So while I was walking there, I was accosted by numerous guys in suits asking if I wanted some action at a very steep price. No, man! 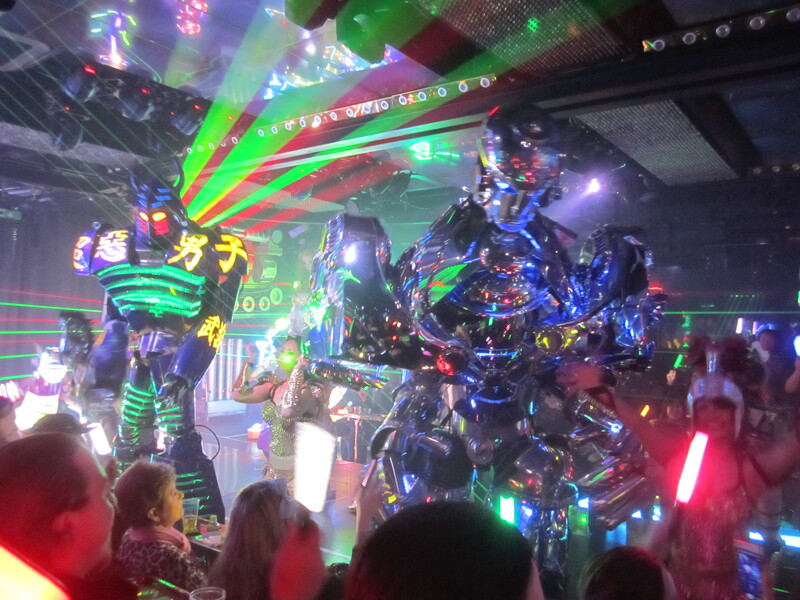 I came here to see some crazy robot action with very attractive women dancing. I highly recommend making reservations in advance, and if you sign up with a friend you get 50 percent off your 5000 Yen ticket. I got there, and they had a complete robot band in the lobby rocking out with some tunes. I was led up to the waiting lounge which was decked out in psychedelic paint everywhere, and each table had a robot dinosaur that would react to your actions. If you made it angry, it would bite your finger, or it would sleep if you petted it on its head. Eventually, they brought us down to the main theatre, and it seemed like the entire place was an epileptic seizure waiting to happen with all of the flashing lights, garish colors, and lasers everywhere. We sat in rows with an aisle down the middle where all the action happened. The bento box they provided was nothing worth mentioning. It was mainly just baked chicken with some rice rolls and a small dessert. 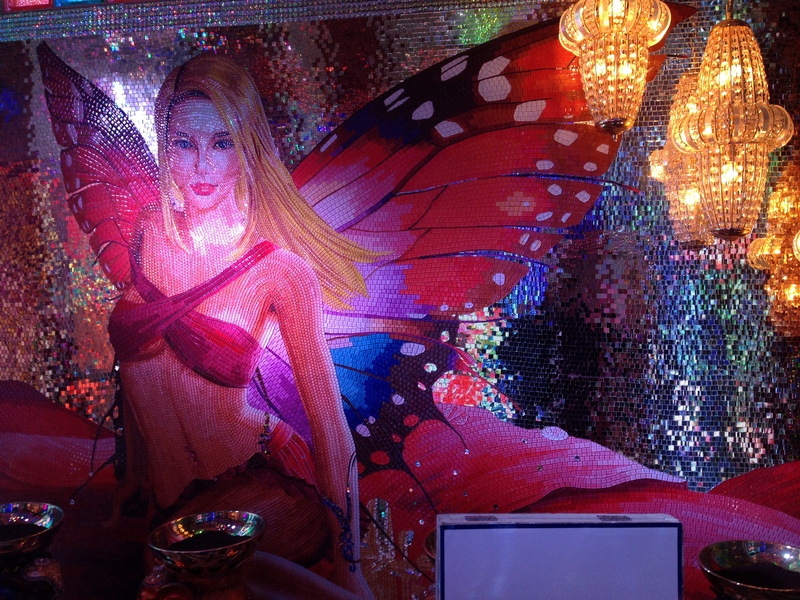 However, the show was unlike anything I’ve ever seen. So I’ll just let the main video from their website paint you a picture along with these videos I took (I apologize for the poor sound quality): Oppa Gangnam Robot, Drummers, or The Natives Are Restless. 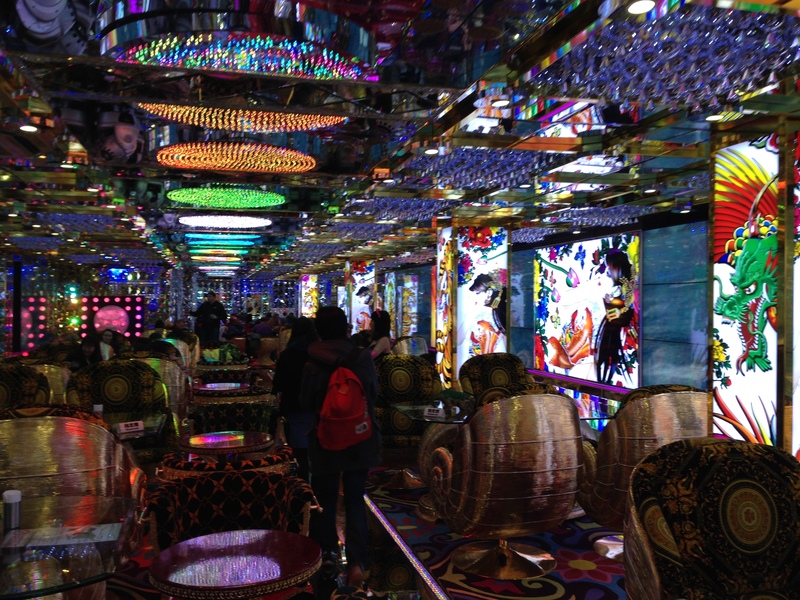 I could only describe it as a mix of traditional Japanese culture, a variety show, a burlesque show, Pokemon, Kung Fu Panda, LSD, and Gundams just to name a few. It was a great way to end a trip that was filled with good people, great food, and unforgettable times. 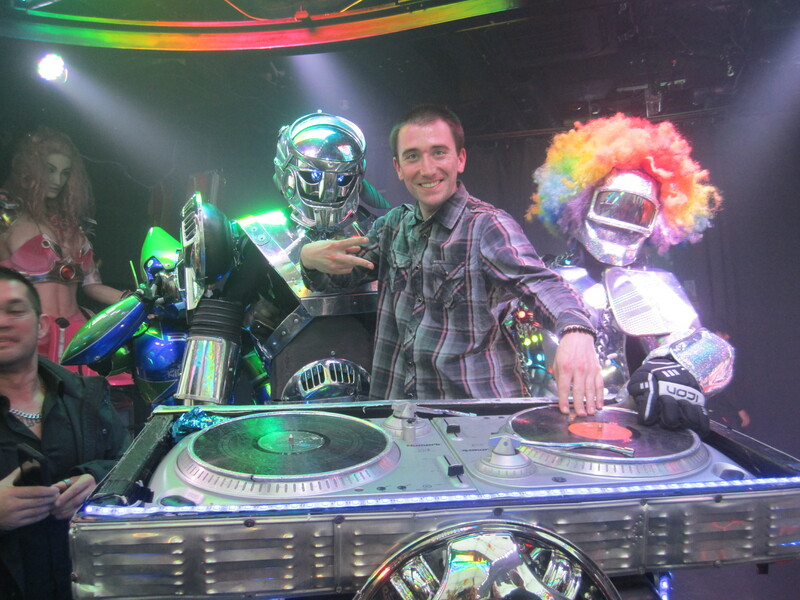 I recommend you go to the Robot Restaurant over all other restaurants in Tokyo just to see the spectacle I will never forget. My last culinary triste with Tokyo before going to the airport took the form of a chocolate version of the caveman cake above, but instead of bee head jelly, I got some fruit and salt juice. 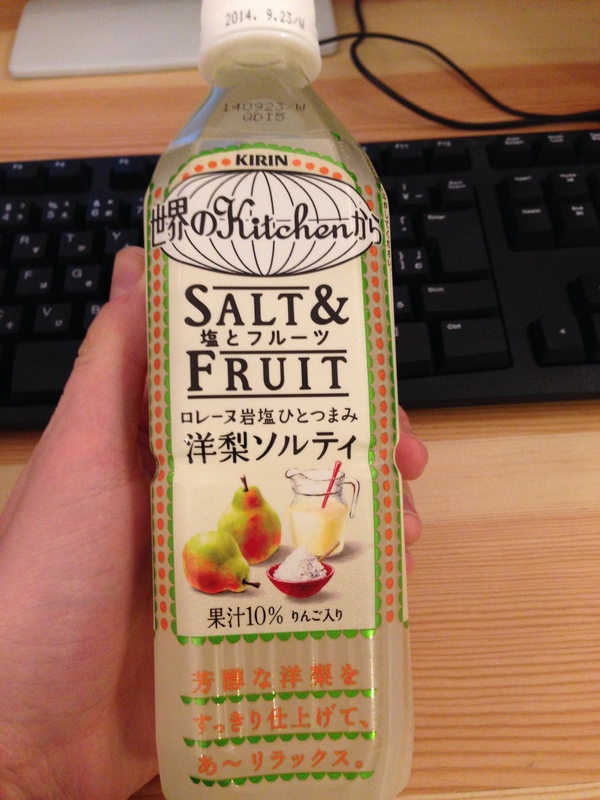 It was a combination that somehow worked where the salt balanced out the sweetness of the pear juice. However, I didn’t leave Tokyo with a figurative salty taste in my mouth as I truly fell in love with this city, and I hope to come back one day. 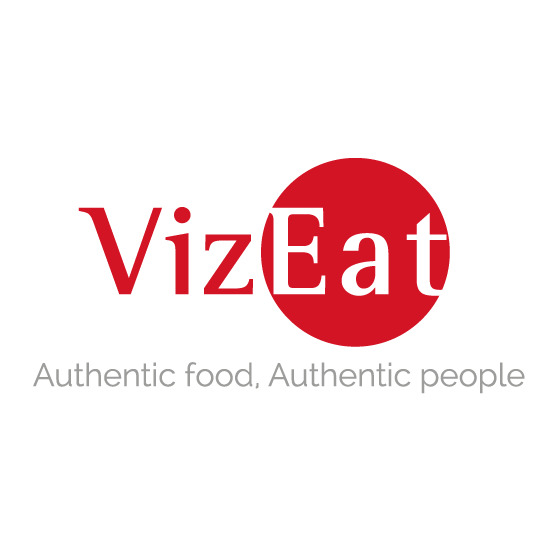 Posted in Beverages, Far East Asian Cuisine, Japanese, Non-Alcoholic and tagged bees, cake, chocolate, crepes, jelly, juice, Nutella, red light district, restaurant, robots, Shinjuku, whipped cream. Bookmark the permalink. I hope you return someday and see more of the country and taste more food around all the islands. Great job, Mark! I hope I could explore more of the south like I originally intended around Osaka, Kyoto, Hiroshima, Nagasaki, and Okinawa. I’m glad you liked the post though!